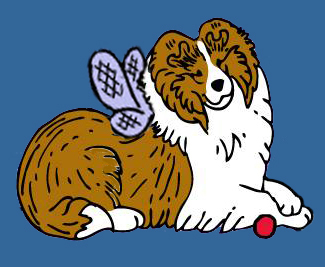 Sheltie Nation | A tourism ad for Scotland? A tourism ad for Scotland? Posted by Ken on Jan 14, 2019. 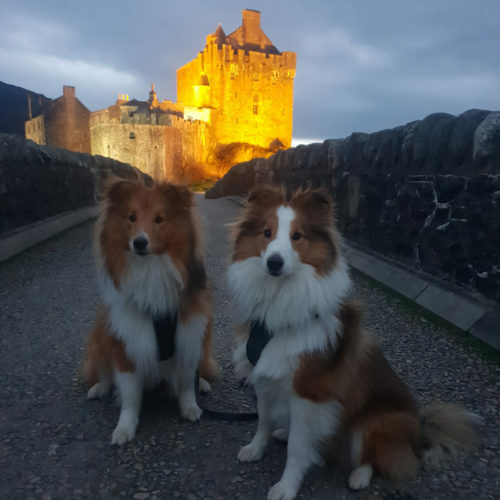 Flash and Blaze spend New Year at Eilean Donan Castle, Scotland. Get the haggis and porridge on, Alison. We’re all coming over! Can you say, Sheltie Nation field trip! We are all insanely jealous! Such a magical and beautiful land, Gloria. Simply beautiful. Where WERE you guys on my trip to Scotland?? LOL. I know, Sharon! Flash and Blaze are two lucky lads. Visited that castle on my way to the Isle of Skye a year and a half ago. It was beautiful but would have been even more so had Flash and Blaze been there! You would be more than welcome Ken if you ever visit Scotland! Beautiful boys Flash and Blaze. They make any background even better. Lovely dogs. They are a very handsome duo, Gerry!